Indian Social Forum Buraidah Block president Muhammad Saeed chaired the program, the program began with the Qirath by Mr. SulaimanThadur. 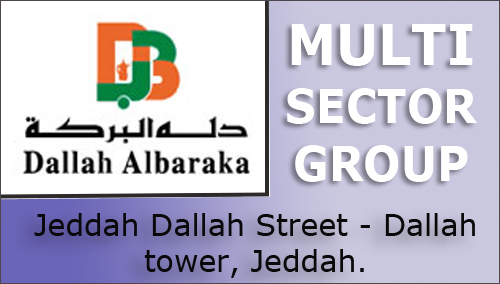 Speaking on the occasion, India Fraternity Forum Riyadh, Karnataka Chapter President Mr. Ismail Yusuf said, "Indian Muslims should become politically strong and empowered, Muslims, Dalithsand other backward communities are being ignored by so called secular parties. Speaking about Dakshina Kannada Lok Sabha, he said even though number of muslims voters are majority in this constituency, they have not provided ticket to Muslim candidate but are only using misusing Muslims and other minorities as their political tools. Further he said it as right time to speak about need of alternative politics to speak on the behalf of the oppressed community. 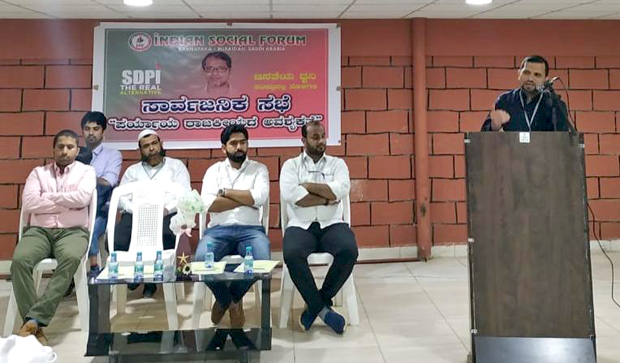 He described about SDPI candidate in Mangalore Lok Sabha constituency, Ilyas Mohammad who is a leader as well as thinker and writer, he has travelled across India to understand the problems of Poor’s, farmers, minorities, Dalits and other backward sections of the society, he urged gathering to encourage and vote for SDPI in upcoming elections. Speaking on this occasion Abdul Rauf, Indian Social Forum Riyadh Karnataka State Committee member, said that it is necessary to eliminate evil by fighting against them and establish truth and peace in the society. Since the Muslim community has assumed that politics is not meant for them, we must work with our youth to create political consciousness among the Muslims and explain them the need of politics, he said it becomes our responsibility to elect and send Janab Ilyas Mohammad from Mangalore to Delhi to speak on behalf of the oppressed and marginalized. Saeed, President Indian Social Forum Buraidah, presided over the program. He explained about the activities of Indian Social Forum and how it is working hard for the NRI’s since last few years throughout Saudi Arabia and briefly explained the emphasis of organization. Abdul Rasheed Uchilila, IFF Buraidah-President, Abdul Razzak, President of Adoor Gulf Committee, Abbas Ali Kukkuvalli were present on the dias. A variety of sports activities were held. In cricket Nazim Buraida were the winners and Unaiza Guys were the runners-up. In tug of war Unaizah Guys were the winners Team najam were the runners-up. ISF Buridah General Secretary Ayyub Uppinangady welcomed the gathering, MoinuddeenKaanjar presented vote of thanks and RafeeqBelthangady was master of the program.